Order in the next 11 hours 29 minutes and your package will ship on Wednesday, April 24. This item will be created for you after purchase. Order in the next 11 hours 29 minutes and your package will ship on Thursday, June 20. 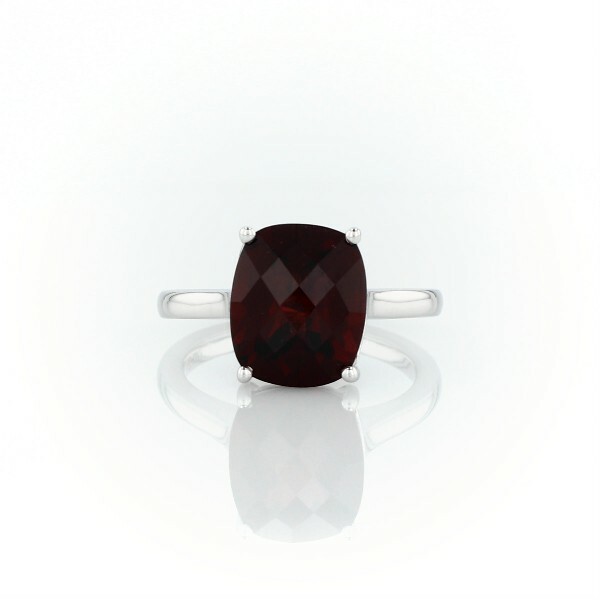 Rich red garnet makes a bold statement in this fashion-forward cocktail ring crafted of 14k white gold.